We have animals roaming our 10 acres. 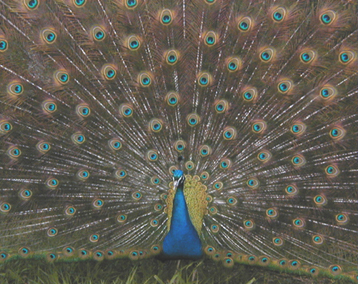 This peacock is one of the 9 peafowl we have. Northern Appalachian Export Co. (NAPEC) is a family-owned business in the foothills of the Appalachian Mountains. We started this business on our own farm because of our love for the outdoors and the rich land in our valley. We are able to grow all our products organically (Wild-Simulated ginseng, for example). Those not grown by us are collected, deep within the northern forest or purchased from other sources. We have raised six children who have had great influence on the development of NAPEC. Our three youngest sons are still living at home. Our farm is situated to house various animals, including exotic birds (peacocks and Northern Indian jungle fowl), and to grow our own organic vegetables.